Compare Manchester airport parking prices and reviews for over 22 on-site and nearby MAN car parking options. Our price promise guarantees cheap prices. Manchester Car Parks score on average 9.4/10 based on 25104 customer reviews. PLUS: SkyParkSecure’s price check promise always guarantees the best price for a wide range of parking operators. As an accredited supplier of Official Manchester Airport Parking, SkyParkSecure offer an excellent selection of both official Parking at Manchester Airport and off-site car parks to suit every traveller's exact needs. Whether you’re flying from Manchester Terminal 1, Terminal 2 or Terminal 3, SkyParkSecure can help to find you the perfect parking space just minutes away from the airport. If you need to find out your Manchester departing terminal or the latest status information for flights, you can check your flight on the Manchester Airport live status board. 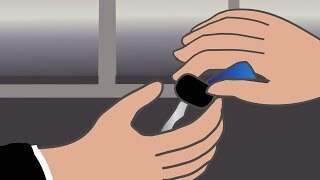 If you are unsure of what the Manchester security controls are, and what you can or can't take on the aircraft, then please refer to the detailed instructions provided by Manchester Airport security. You can amend your Manchester Airport booking up to 24 hours before at no cost. Amendments made with less than 24 hours notice will incur a £5 amendment charge. The price could change if the dates and times differ from the original booking. You cannot change a non-amendable, non-refundable service as per our terms and conditions. All Manchester Airport car parks promoted through our site are extremely safe. They offer high levels of security, with advanced CCTV systems, electronically controlled entry and exit barriers, and 24/7 walking patrols. What's the difference between on-airport and off-airport Manchester car parks? On-airport Manchester car parks are within the airport grounds, so transfers to the terminal are usually quick. Off-airport Manchester car parks are outside the airport grounds but won't be more than a few miles away. All offsite car parks have free regular transfers running to and from the terminals. Meet and Greet parking at Manchester is where your car is collected from you outside the terminal. Parked in a secured car park by a driver. Brought back to the terminal on your return from holiday. If I have booked meet and greet parking at Manchester Airport, what do I do on the day? If I have booked meet and greet parking at Manchester Airport, what do I do once I return from my trip? What if my flight back to Manchester is delayed and I overrun my parking time? Are Blue Badge parking spaces available at Manchester Airport car parks? There are Blue Badge parking spaces available at all Manchester Airport car parks. For park and ride customers, the free of charge transfer buses are also wheelchair accessible. Please check with off-airport parking operators for their Blue Badge information. 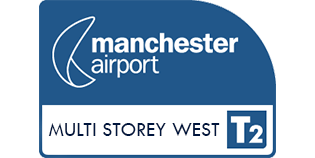 All three Manchester Airport terminals are easily accessible from Junction 5 of the M56 motorway. Join the M61 from the M6 and then merge onto the M60. Exit the M60 at Junction 5 for the M56. Join the M56 at Junction 19 of the M6. Exit the M60 at Junction 1 for the M56. Take either the M56 and exit at Junction 5, or join the M56 from the M6 at either Junction 19 or 20. The Manchester on-airport multi-storey car parks are ideal for short stays. Manchester Airport has three multi-storey onsite car parks, one right next to each terminal, saving a considerable amount of time on arrival and departure. Although there is a multi-storey assigned to each airport terminal, they are fairly convenient for all terminals. All three on-airport multi-storey car parks have been given the Park Mark Award, offer secure parking, and benefit from regular patrols and CCTV monitoring. For longer stay parking spaces, Manchester Airport has two long stay car parks, both of which have been given the Park Mark Award and offer secure parking. Although they are within walking distance to their associated terminals, a transfer bus runs every 10 minutes and takes only five minutes. Park and ride is usually the cheapest car parking option at Manchester Airport. Simply park your car at your chosen car park and catch the regular shuttle bus to your terminal. JetParks is the official Manchester Airport Park and Ride parking service and there are four JetParks car parks at the airport. JetParks 1 and JetParks 2 are the closest to Terminals 1 and 2 and take 5–10 minutes by shuttle bus, while JetParks 3 is the closest to Terminal 3 and takes 10–15 minutes. The latest park and ride parking option is JetParks Ringway, which is located just around the corner on Shadowmoss Road. All the JetParks car parks offer secure airport parking and each one has been given the Park Mark Award. The car parks are patrolled 24 hours a day and protected by CCTV, barriers and fencing. They are also DDA (Disability Discrimination Act) compliant and disabled customers are able to park in suitable places. The complimentary shuttle buses are also wheelchair friendly. Manchester Airport, one of the busiest airports in the UK, sees a diverse array of passengers, from business travellers to holidaymakers, so Manchester parking could be a bit hectic without SkyParkSecure on your side. But no matter why you’re flying, we can offer you a wide range of car parking options to suit your needs. Normally the most cost-effective parking package, simply park your car in one of the secure car parks and hop on one of the many shuttle buses which stop regularly to keep transfer times to a minimum. You’ll be just a short ride away from the airport terminal at a great price point, so this is always one of the most popular car parking options. If you want to get seriously close to Manchester Airport, these are the parking spaces for you! Park your car onsite by the airport terminal and walk straight in — no messing around! Let someone else do the hard work of finding a parking space with this valet parking option. Simply arrive at your Manchester Airport Terminal and leave your car with a fully insured chauffeur who’ll park your car for you. Then simply give the valet parking service a call on your return and your car will be brought to you. It doesn’t get more convenient than meet and greet parking. Manchester Airport Terminal 2 is currently undergoing an upgrade, and as a result, there are some differences to where you pick up, drop off and park. The departures forecourt is no longer accessible for passenger drop off; instead, you’ll be directed to a new forecourt located on the ground floor of the multi-storey. Exit the M56 at Junction 5 and stay in the left-hand lane following signs for Manchester Airport Terminal 2. At the 2nd roundabout take the 2nd exit into Palma Avenue, signposted for T2 Multi-Storey car park. After 0.2 mile the Multi-Storey car park entrance is situated on your left-hand side. Alternatively, punch M90 4ZY into your sat nav — easy peasy! If you have a booking, cameras at the barrier will scan your car’s registration plate and grant you access to the car park. If the barrier fails to raise, just press the help button to call for assistance. Find out more about the Terminal 2 expansion here. The bonus of booking Manchester Airport parking through SkyParkSecure.com is that you’ll always pay the cheapest price. We guarantee to give you a lower price than our competitors with our Price Check Promise. The product that you are comparing must be exactly the same as the one purchased from SkyParkSecure. Prices from other suppliers that are conditional on buying other products. Prices that are part of a customer loyalty, members or loyalty reward scheme. Park Mark is a national standard for UK car parks. It shows they have low crime and measures to ensure the safety of customers and their vehicles. Make sure your Manchester Airport car park or meet and greet service meets the required standards.